KUWAIT CITY, May 3: KIPIC has hosted the annual open “Oil Sector Leaders Townhall” 2018, under the theme “Work in harmony and integrity, chart the future.” The senior oil officials had a field visit to KIPIC’s three mega projects, Al-Zour Refinery, the LNG Import Facilities and the Petrochemicals Complex (PRIZe). Kuwait Petroleum Corporation’s (KPC) profits hit KD 1.94 billion in the past FY ending March 31, compared to KD 1.44 million a year before, CEO Nizar Al-Adsani told the event. He added that the world oil markets are recovering, heading to a balance and a return to previous normal levels of oil stockpiles by the end of 2018. 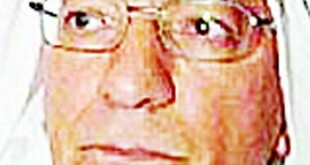 Kuwaiti oil price has been on the rise to $60- 70 per barrel, he noted. M e a n w h i l e , Al-Adsani said that the KPC and its subsidiaries are committed to applying the optimum health, safety and environment criteria. Various programs and action plans have been in place to avoid accidents and manage the reduction of emissions from the corporation’s operations, he stated. The KPC CEO noted that 1,476 training courses were organized for 26,332 people covering general technical and professional fields of the oil sector. Appointments at the corporation hit 1,797, and Kuwaitization rate at contractors’ operations reached 25.9 percent, 322 people were recruited. For his part, KIPIC’s CEO Hashem Sayed Hashem said the “Oil Sector Leaders Townhall” this year was themed “Work in harmony and integrity, chart the future”, celebrating the issuance of 2040 strategic orientations of the KPC and its subsidiaries. 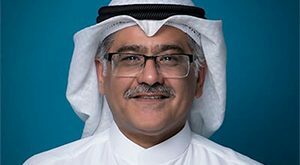 These have set a roadmap for the future of the Kuwaiti oil industry, on the local, regional and international levels, to withstand the challenge of preserving the forefront, he told the annual event. The KPC and its affiliate companies have adopted the slogan of “Performance through integration.” Since it was established, the corporation set integration as a chief goal of its operations, Hashem said. Through the “2040 Strategy”, the KPC has carried on with its approach of achieving integration of its oil activities. Hence, KIPIC was established in October 2016 as the first Kuwaiti integrated one to operate in the refining and petrochemicals industries, Hashem stressed. This is a major evidence of the oil sector’s keenness on achieving integration. 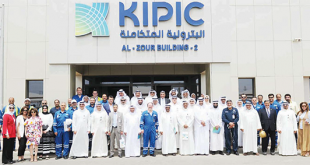 KIPIC was entrusted with owning and managing the integrated Al-Zour oil complex, an enormous strategic and developmental project in the country. The entire complex is being established at one geographical site, a great advantage that helps accomplish the maximum level of harmony and integration among KIPIC’s three projects, sharing the infrastructure and using the common utilities and units as well as exchanging major and minor products. KIPIC has a vision to be a leader in integrated refining and petrochemicals operations and LNG supply that maximizes shareholder value, achieves operational excellence, unlocks the potential of its people and cares for the community. We have been eager to host the annual open Oil Sector Leaders Townhall at Al-Zour so that you can have the opportunity to closely follow up our tireless efforts to construct the company’s three projects, Al-Zour Refinery, LNG Import Facilities, and the Petrochemicals Complex (PRIZe). With the launch of the three projects, we will lay down solid basis for setting up the second largest oil zone in Kuwait, after Al-Ahmadi, in addition to developing Al-Zour area to a vital hub for oil industries. Al Zour Refinery is one of the world’s largest grass root plants being built from conceptual stage. It is a major initiative on the KPC’s strategy to add 615,000 barrel per day (bpd) to Kuwait’s refining capacity, about 45 percent. It will also be the first plant for refining heavy crude in Kuwait.